Roy is an anointed singer songwriter and a powerful preacher with a prophetic word for this season and hour. He has a heart for God and the ability to communicate his message through music and the preaching of the word. He is sensitive to the Holy Spirit, he has a great desire to see men and women won for the Kingdom of God. With his great Aussie flavor, joy and fiery passion for Jesus he has the ability to relate to people of all ages both believer and non – believer a like. Roy has a true heart for the body of Christ, bringing love, exhortation and faith being released into the body. He’s encouragement to the body is powerful, uplifting, inspiring and leaves you with an attitude of “we shall overcome” Pastors, if you need your people to get” Fired Up” Roy’s ministry will do that. Roy Mills is founder and coordinator of Shake The City; a powerful ministry team that combine their talents for the glory of God. The ministry team includes Without Silence, a band reaching the hearts of the young and the young at heart, solo artists, powerful speakers and anointed praise and worship. Events can also be organized over a two-day period; this would accommodate a concert reaching the youth and young at heart featuring Without Silence. The option of handing out event flyers is also a great opportunity for evangelism. 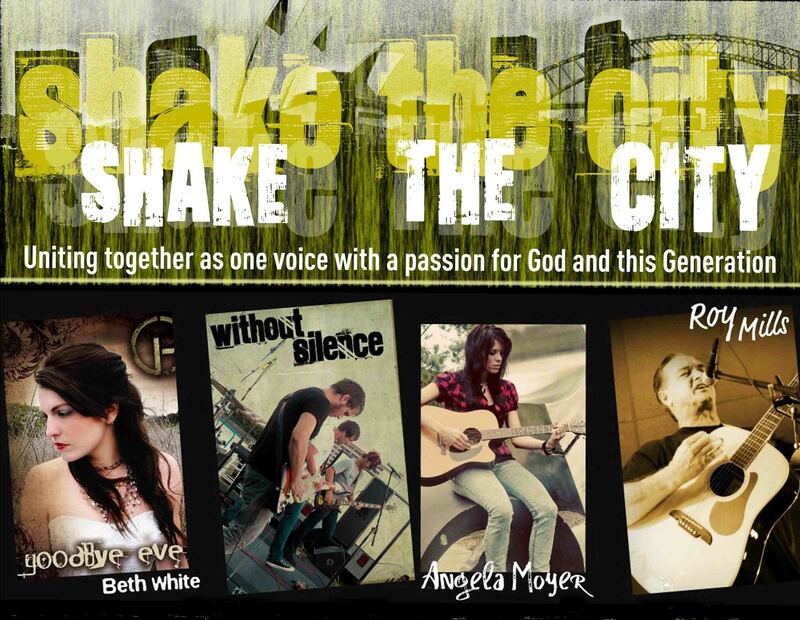 Shake The City is not about a man, or a band, it’s about Him; His presence, His kingdom, His will been done on earth as it is in heaven. 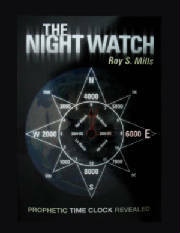 Roy is the author of the book called The Night Watch, a Prophetic Time Clock is revealed within the four time frames of this Hebrew custom to guard against invasion. God’s master plan of redemption is revealed through these four time frames of biblical history. Four time frames are designated for the harvesting of humanity and the salvation of planet earth. (Four denotes the number of the earth.) We are entering the fourth and final watch in God’s plan of redemption. A far greater picture is now visible to the 20th century Church. This book confirms the voice of the prophets and the signs of the times. Each chapter demonstrates an incredible parallel between natural and spiritual events. If your church or fellowship group is interested in Roy sharing his book in further detail, see contact page.